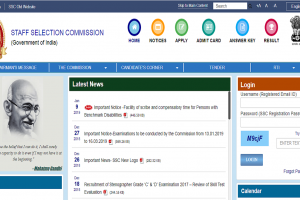 SSC examinations: The candidates can check the answer keys from the regional websites of SSC. 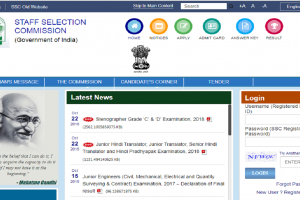 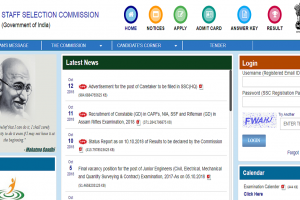 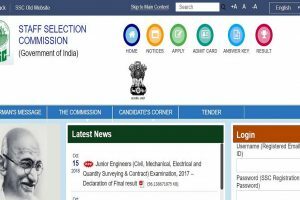 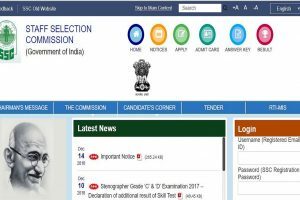 SSC Results 2018: The result OF Junior Engineer will be declared on the official website-ssc.nic.in. 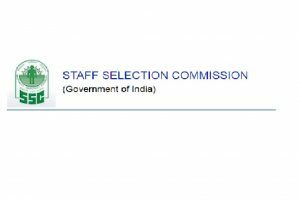 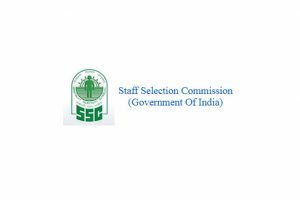 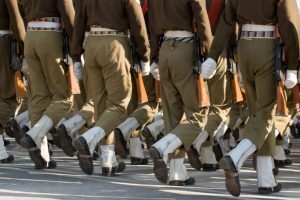 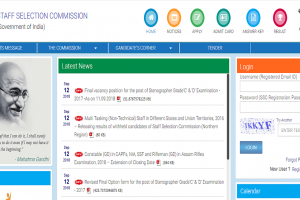 The Staff Selection Commission (SSC) has postponed the online registration for GD Constable Recruitment for the second time. 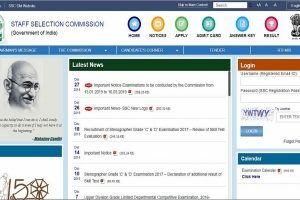 Important notification for the candidates who appeared in SSC CGL 2017 (Tier-II), SCC CHSL 2017 (Tier-I) and JE 2017 Paper 2 examination 2017 will need to wait for a little more time to check their results. 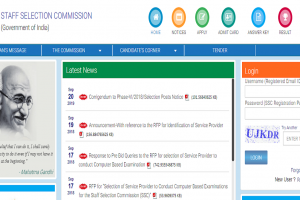 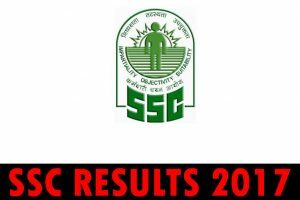 Continue reading "SSC declares Delhi Police Sub Inspector (SI), Sub Inspector (CAPF), Assistant Sub Inspector (ASI) results 2018 at ssc.nic.in | Check now"
Continue reading "SSC JE 2015-2016 Results for Paper 2 exam declared at ssc.nic.in | Check now"
Continue reading "Download SSC Delhi Police 2016 Constable recruitment exam answer key at ssc.nic.in | SSC to declare results soon"
Continue reading "SSC CGL Tier I results 2017 expected to be declared before 3.00 PM at www.ssc.nic.in | Check here"